Still on the hunt for some Christmas Gifts and Stocking Fillers? Forgot someone's Secret Santa? It's not too late! 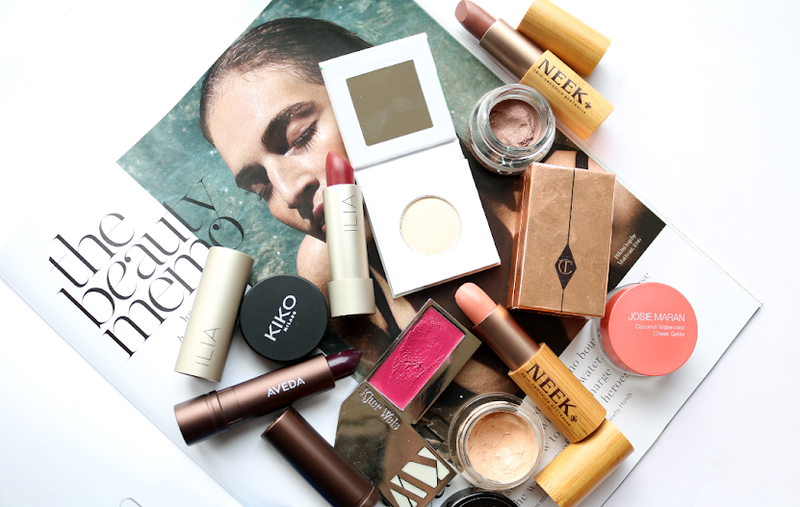 Here's my handy Last Minute Edit filled with beauty treats and featuring a wide range of brands and stockists. For a super cute stocking filler, MasqueBAR have released a range of festive Animalz Sheet Masks which feature the animal printed onto the mask itself for the ultimate Christmas skincare selfie! Each one has a different purpose and this Reindeer mask is perfect for hydrating and soothing. Available online from ASOS or from your local House Of Fraser. 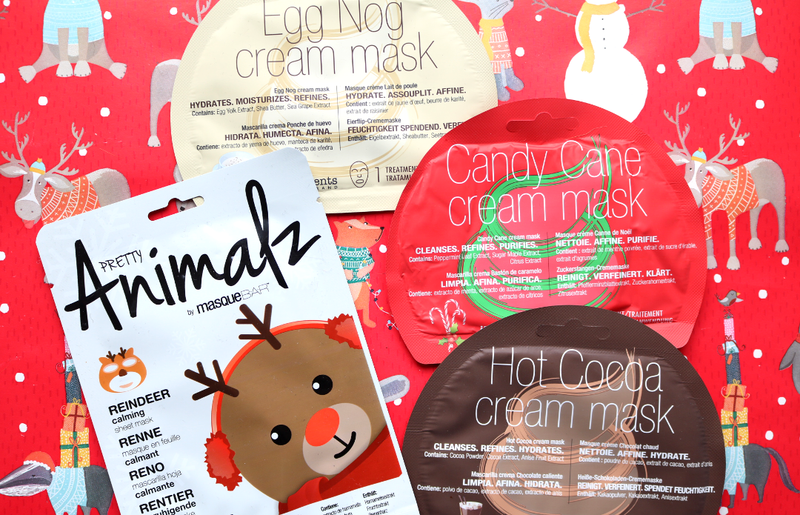 Also available from ASOS are the festive-themed face masks from MasqueBAR's iN.gredients range which include the delicious Hot Cocoa (hydrating), Candy Cane (purifying), and Egg Nog (anti-ageing). These are all cream masks that smell exactly like their names! If you're looking for a sheet mask stocking filler that's more luxurious, cult Korean brand Skin79 have a massive range of different masks for all skin types and concerns. 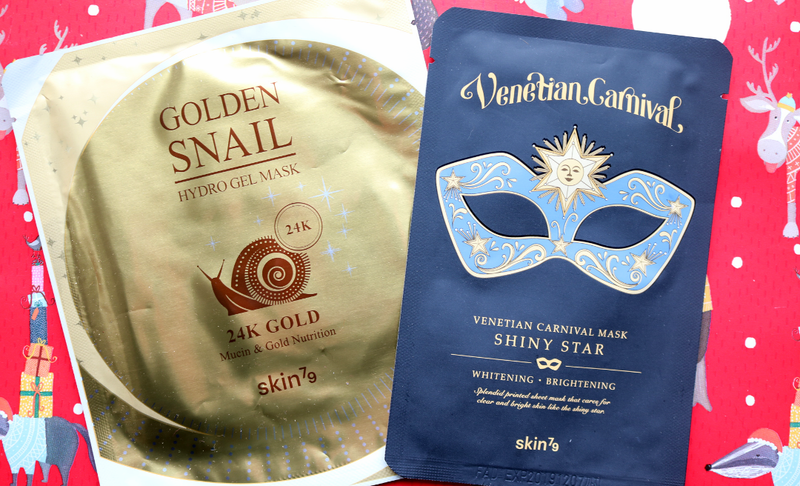 Two of my favourites are the Golden Snail 24k Hydro Gel Mask which is fantastic for anti-ageing and extra radiance, and the Venetian Carnival Shiny Star Mask that's a great pre-party mask for a gorgeous hydrating glow. Both available online from HQ Hair. Popping into Superdrug or Boots? Head straight to the KISS stand and pick up some of their beautiful lashes and nail kits. I love their Looks So Natural Lashes for a pretty, fluttery, easy-to-wear style and a tube of their Lash Couture Strip Lash Adhesive would make a fab stocking filler for any girlie girl who is always wearing fake lashes! Their Gel Fantasy and imPRESS nail kits are also a must-buy for DIY mani-fans with lots of shades and styles to choose from. 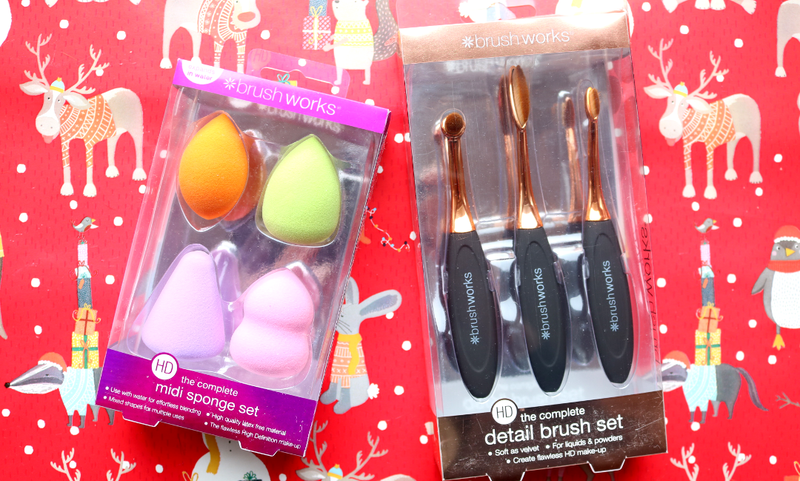 Makeup accessories and tools are huge Christmas gifts this year and Brushworks have something for everyone. 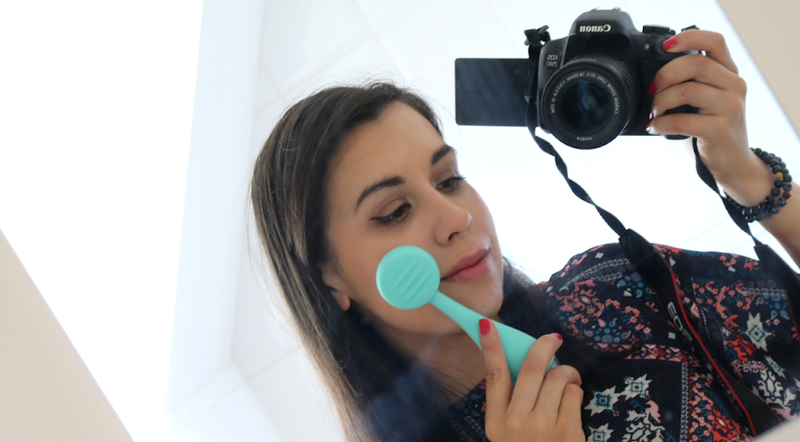 Their HD Midi Sponge Set contains four high-quality, latex-free blending sponges that can be used with a variety of liquid and cream based products, whilst the HD Oval Brush Set is a brilliant affordable dupe of the popular Artis brushes that have dominated Youtube tutorials this year. Best of all? These sets and much more are currently in the 3 for 2 offer online at Feel Unique - win win! 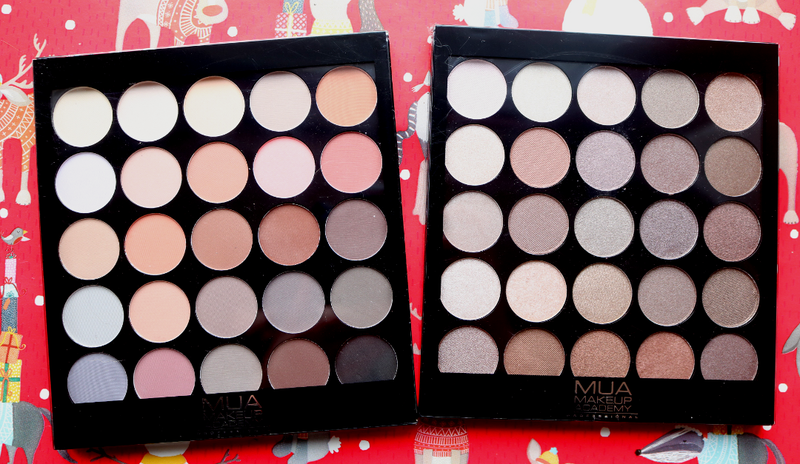 Eyeshadow palettes are also insanely popular this year and MUA's latest 25 Shade Eyeshadow Palettes are a budget-friendly way to gift the makeup lover in your life with a whole bunch of new colours! There are several colourways to choose from, but my personal favourites are Matte Supreme (this really is the ultimate neutral matte palette) and Cashmere Collective (a selection of beautiful matte and shimmery, neutral and smokey shades). Available online from MUA direct and Superdrug. 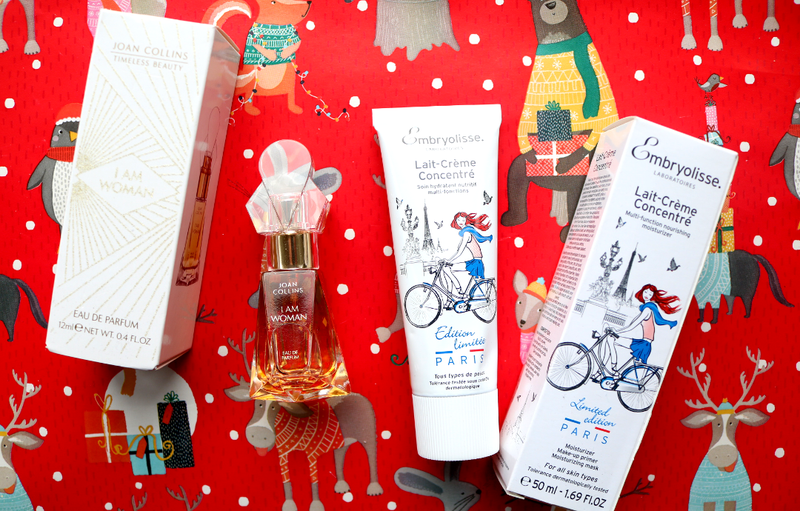 Some stocking filler ideas that I think mums/aunties/older female relatives and friends will enjoy, include Joan Collins' popular I Am Woman fragrance (a classic feminine scent with citrusy top notes layered over a woody and musky base with hints of floral), and the French skincare guru's favourite, Embryolisse Lait-Crème Concentré, which is an ultra-rich multi-purpose cream that's perfect for Winter and currently available in a ready-to-gift, Limited Edition Paris design. Your local Lloyds Chemist might not be the first place that you think of when it comes to shopping for Christmas gifts, but my local one is a great place to find some beauty bargains from bestselling brands. 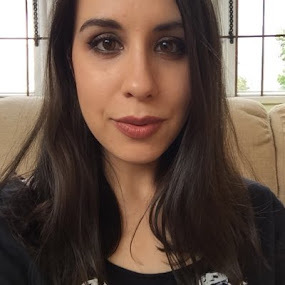 If your local stocks Know Cosmetics, look out for the No Bleeding Lips Secret Lip Liner (a clear lip liner that can be used with any lipstick) and No Dark Shadows Complexion Enhancer (a cheeky YSL Touche Eclat dupe that provides more coverage for pesky dark circles). 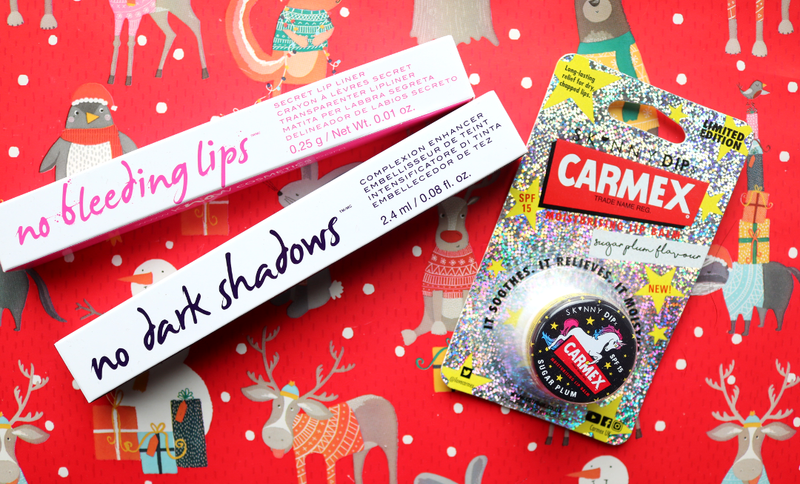 If you need a cutesy little stocking filler for a teen or young daughter, I think they'd love the new Limited Edition Carmex collab with Skinny Dip which has been given a festive twist with a yummy Sugar Plum flavour, and it features a unicorn! Available from Superdrug. 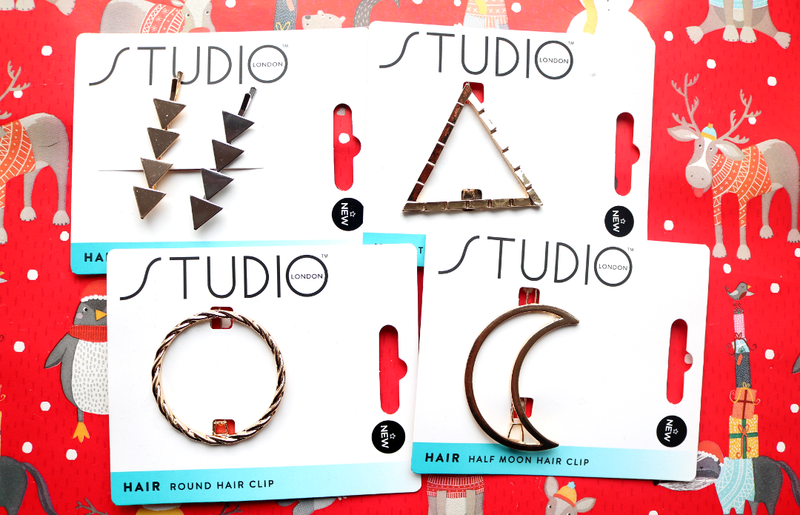 Also from Superdrug, you'll find these new, on-trend metal hair accessories from their Studio London range which make brilliant stocking fillers, especially if you have teens or young girls to buy for. Plus they're in the current buy one, get the second half-price offer on Superdrug hair essentials so now's the time to stock up! 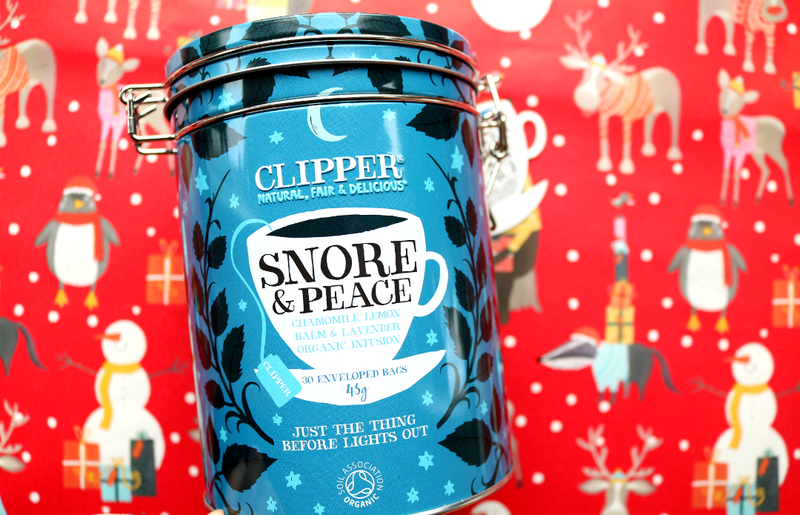 Tea lovers will adore this beautifully presented and reusable Gift Caddy that contains Clipper's bestselling Snore & Peace blend in 30 enveloped tea bags. This relaxing infusion of Chamomile, Lemon Balm and Lavender will help to send your recipient off to the land of nod so that they can get a restful night's sleep during the busy festive season. 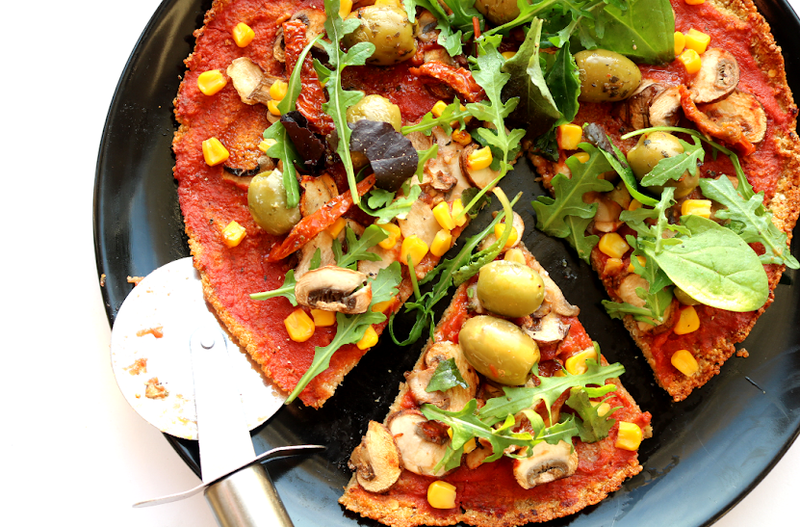 Certified organic by the Soil Association and available from Amazon. Lastly, as I've had some requests from a few of my American followers for gift recommendations, I wanted to include the Forever Young Gift Set from Image Skincare. Available in the US only, this set contains a great travel-size selection from Image's Vital C range (Hydrating Facial Cleanser, Anti-Ageing Serum, Repair Creme and Moisturiser), alongside a gorgeous Silk Eye Mask designed by DANNIJO. 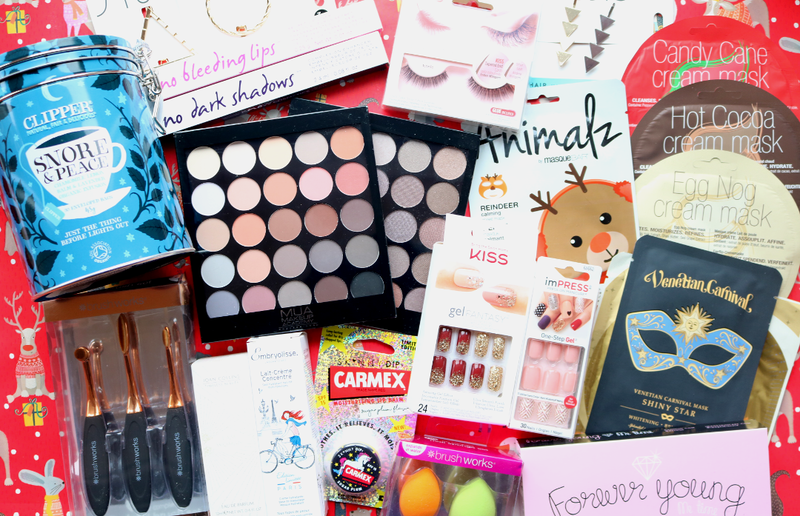 What last minute Christmas gifts are you buying this year?